Essay for book "Artists in the City: SPACE in ’68 and beyond". 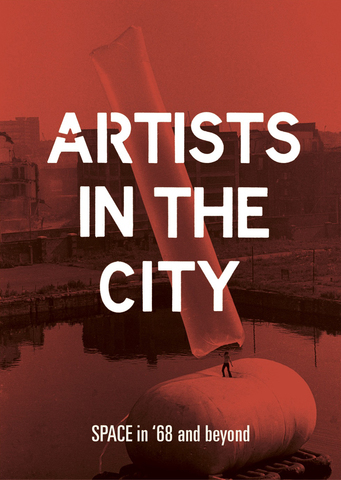 "Artists in the City: SPACE in ’68 and beyond" explores the early history of an artist-led organisation which broke new ground by taking on large properties for artist studios in London, which it has continued doing for 50 years, finding space for artists in a changing city. The model of artists seizing the initiative and working with city authorities and landlords to provide studios was new and hugely influential. It was copied around the world, for example at PS1 New York and Künstlerhaus Bethanien, Berlin. The book examines the late ‘60s context in London from which SPACE emerged, to understand what has changed and what remains the same for artists in the city. Essays consider concepts such as artist-run initiative, Do it Yourself, and how artists formed unions to tackle their economic exploitation, deconstructing the idea of artist as gentrifier to understand in more detail the creative effect or agency of SPACE and artists in the city. Essays by artists Bridget Riley and Peter Sedgley with an introduction by Anna Harding, plus Mel Dodd, William Fowler, Larne Abse Gogarty, Rebecca Gordon-Nesbitt, J&K – Janne Schäfer and Kristine Agergaard, Robert Kudielka, Courtney J. Martin, Alicia Miller, David Morris, Neil Mulholland, Naomi Pearce, Shirley Read, Ana Torok and Andrew Wilson.